Manage jewelry Inventory from desktop /mobile application. Print inventory labels with barcode. Print jewelry details in pdf format. 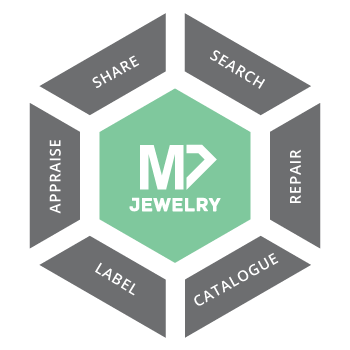 Share jewelry details with customer through email / mobile apps. RFID integration for easier stock take. Create professional looking memos, invoices, appraisals. Detailed Jewelry reports for better business insights.